As the gold standard for trendsetting in the industry, Pantone colors are a visual force to be reckoned with. The Pantone Color of the Year in particular sets the tone for trends across every aspect of creative industries, from interior design to fashion to illustration. This year marks the first time that two unique colors have been chosen to usher us into the latest wave of design. The Color of the Year is chosen by the creative minds at Pantone each year to express what they see as the current prevailing cultural mood. 2016 is the first year a blending of two shades has been chosen: Rose Quartz, a delicate tone with a pink hue that brings to mind tenderness and grace, and Serenity, a diaphanous blue, reminiscent of the open sky and a relaxed life. 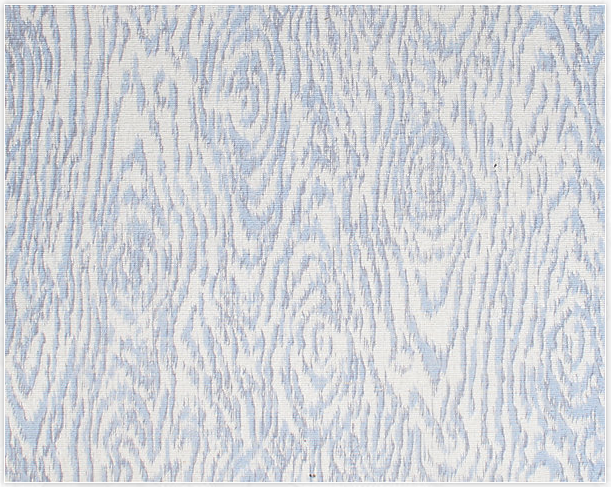 STARK is proud to offer a plethora of rugs, carpets, fabrics, and wallcoverings in a variety of colors very similar to this year’s dual Pantone offerings, Rose Quartz and Serenity. Explore some of our favorites below! 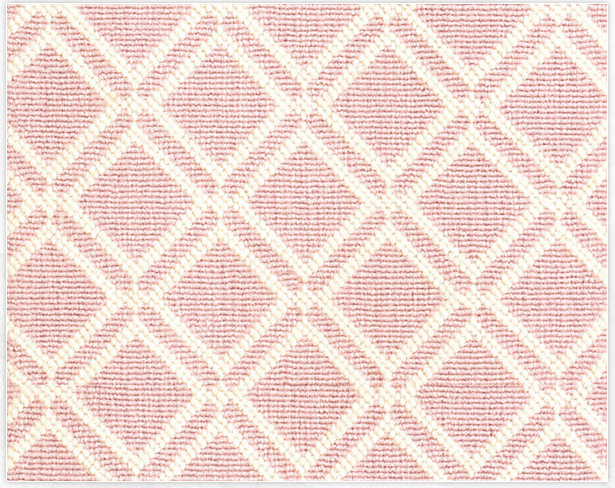 Our Octagram carpet in colorway Blush, a tone that brilliantly nods to Rose Quartz, embodies a mindset of tranquility and inner peace. This carefully curated room design can be found in Decorating With Carpets: The Stark Tradition. This peaceful scene is a room design by Geoffrey Bradfield, featuring STARK custom carpet in a shade similar to Pantone’s Serenity. Read more in our World of STARK “Behind the Scenes” feature spotlighting our custom fabrication capabilities. The Aspasia Stria is a 100% wool carpet woven in the Wilton construction style. Like Octagram, the technical name of this colorway is Blush. 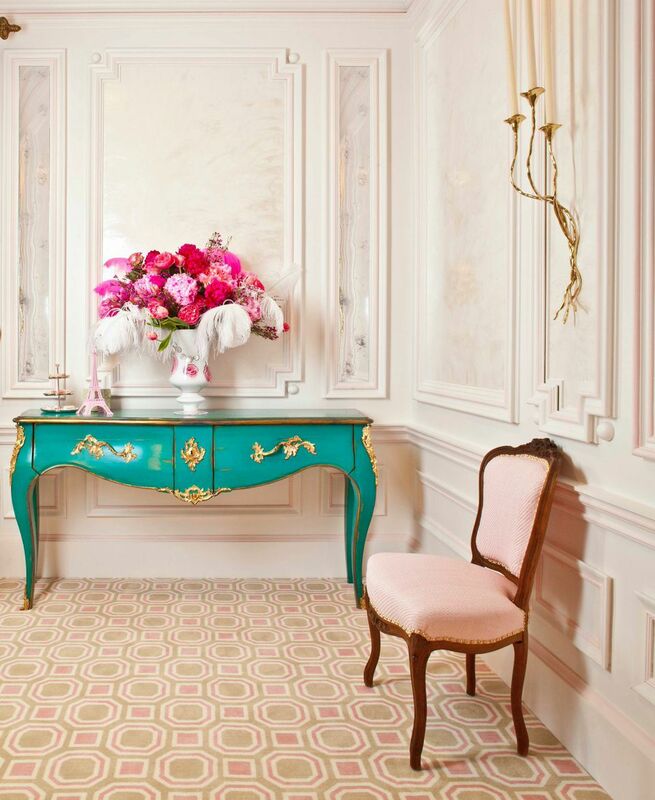 Hues of pink and white are interwoven to create a delicately textured carpet that, depending on the style needs of the design, can accent a space just as well as it can ground it. 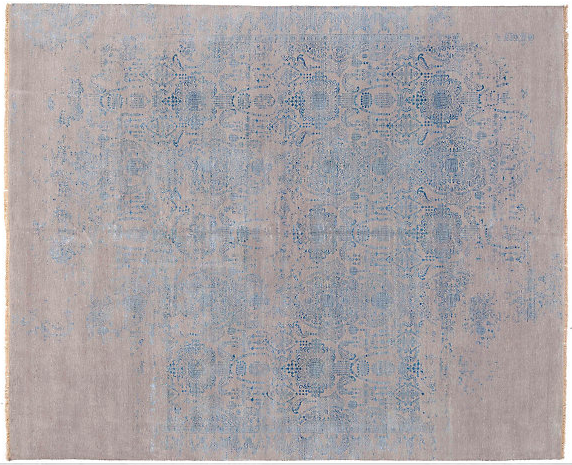 The Incandescent design is another 100% wool carpet woven in the Wilton construction style. 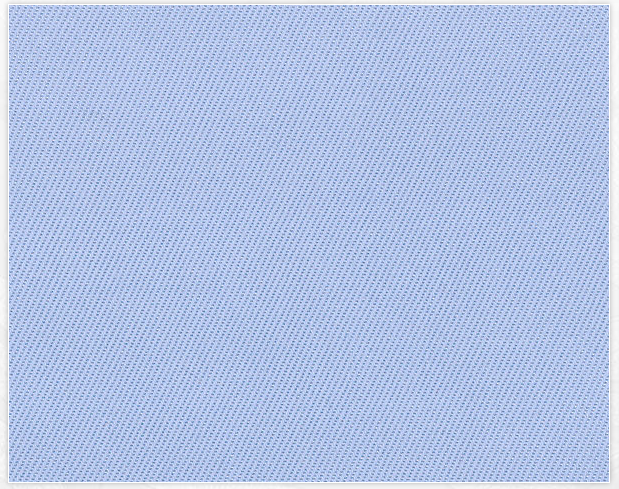 The colorway is Riviera, with soft blue lines very much akin to Serenity in both atmosphere and delicacy. The room will nearly float when decorating the floor with a carpet in such soothing tones. 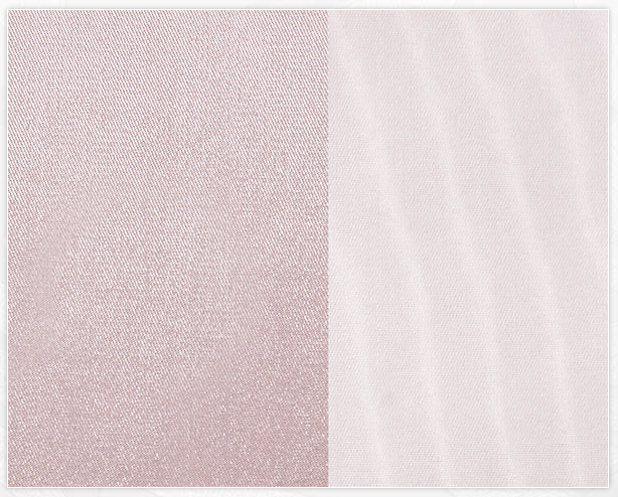 Rose Quartz inspired-hues are also to be found in a wide variety of fabrics. Alcazar Reversible in the Lelievre Collection is a lovely French moiré fabric, in the color Poudre, a tone that gently reflects softness very similar to that of Rose Quartz. The Jixi fabric in the Missoni Collection is proof that you can decorate with elegance anywhere. Made of 100% outdoor acrylic, Jixi originates from Italy and can withstand numerous applications. Create a peaceful scene indoors and out with blue upholstery using Jixi fabric. The rose of Rose Quartz appears in a variety of STARK offerings; one of the closest approximations to Pantone’s pink-hued Color of the Year is within the flowers printed on the wallcovering pattern Rose Urn in the Mayflower Collection. 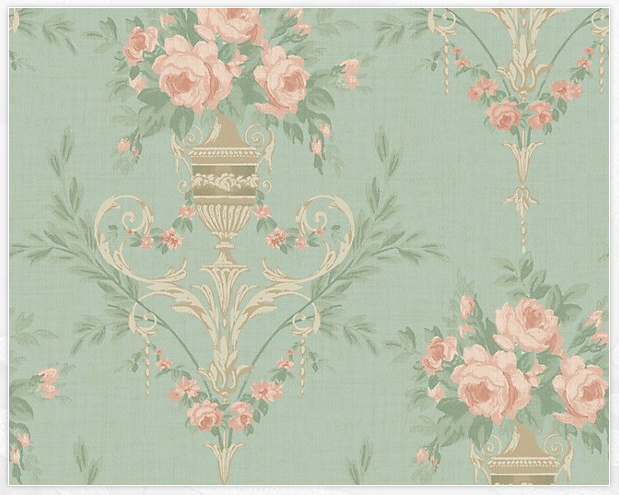 The Turquoise Gold colorway in particular features roses in a hue very close to the exquisite pink of Rose Quartz. 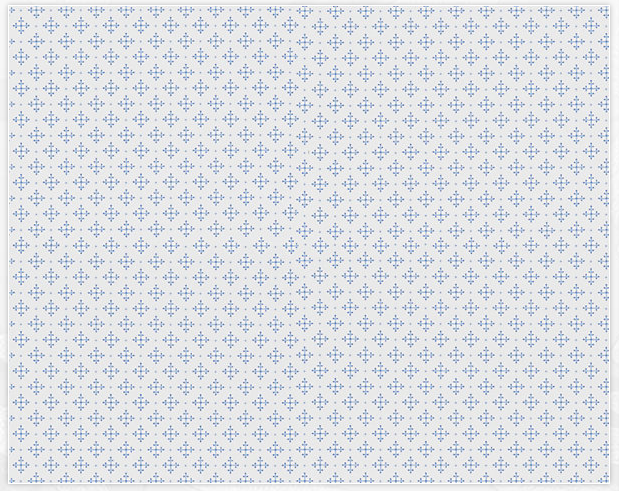 A small print like Arvid in the Sandberg Collection of wallcoverings brings to mind the peacefulness of Serenity in a white/blue colorway. Small print wallcoverings are a great way to add a sense of visual character to otherwise neutral spaces, such as hallways, foyers, and even bathrooms. To find what else is possible at STARK - check out the designer interviews in our Design Showcase, take a peek at the latest happenings in Press & Events, and purchase your copy of Decorating With Carpets: The Stark Tradition. Members of the trade, find out even more about the advantages reserved for you by referencing our STARK Trade Benefit Program.